While healthcare organizations may share similar challenges, our experience leads us to conclude that the diversity of healthcare culture dictates the need for customized approaches. Unlike other leadership programs that offer templates or “off the shelf” solutions, CPL uses our core knowledge-base and works with your organization to develop customized physician leadership programs that assure success for your organization and its culture. We know that great leaders develop a broad set of skills to work up and down multiple levels of an organization and across multiple healthcare silos. As a physician leader rises in official responsibility, relationship building, communication, and interpersonal skills drive success. In order to develop these skills, we have identified 12 core leadership competencies to be mastered. We have a robust curriculum of didactic and experiential learning tools to assure skill mastery, and ongoing support programs to sustain development. 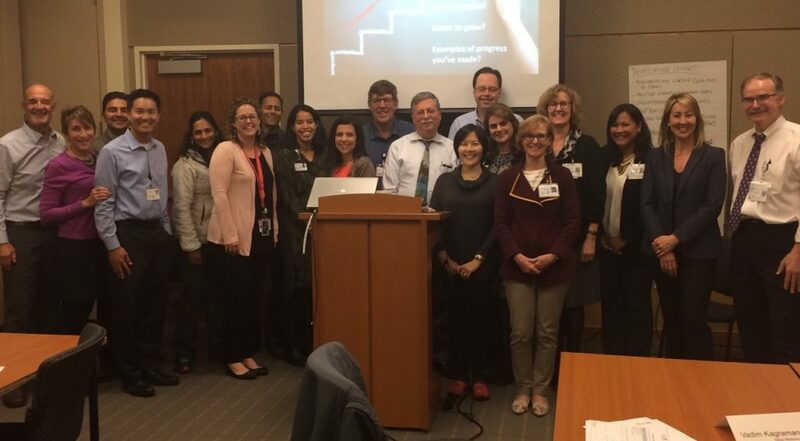 Since 2012 CPL has partnered with Sutter Health to develop their physician leaders through our Introduction to Physician Leadership (IPL) Program. This flagship program played a large role in Sutter being named one of the “Top 10 Physician Leadership Programs” in the country in 2016. Learn more about our leadership development services, the benefits and why Center for Physician Leadership is the best choice for your organization. © 2019 Center for Physician Leadership. All rights reserved..